Medicare Advantage Plans : Professional Insurance Systems of Florida, Inc.
A program which allows you to enroll in private health insurance that offers both Medicare Part A and Part B benefits. Medicare Advantage plans are not supplemental insurance, but rather health insurance plans of their own. Medicare Advantage can also include prescription drug coverage in addition to vision, hearing, and dental. In most cases, you can join even if you have been diagnosed with a pre-existing condition, except for final stage renal disease. Advantage plans must follow guidelines established by Medicare but also vary in terms of costs and rules. Most Advantage plans have lower co-payments than the traditional Medicare plans, but are also limited to certain service areas and often involve networks. You can only enroll in a plan during certain times of the year, but you will remain enrolled in most plans for a year. The amount that you pay yourself varies from plan to plan, so it is necessary to compare plans in order to find the plan most suitable to your needs. You can enroll in plans in paper, by telephone, or by an online application. Health Maintenance Organization (HMO) plans are required to cover both Part A and Part B health care, but can also offer additional benefits. You will only be able to visit physicians and hospitals that are within the HMO network unless there is an emergency. However, HMOs can lower costs, making them (in some cases) a less expensive option to the traditional Medicare plan. Preferred Provider Organizations (PPOs) allow you to use doctors, hospitals, and specialists within the PPO network. However, you are permitted to use health providers outside of the network at an additional cost to you without a referral. With a Private Fee for Service (PFFS) you are able to use any doctor or specialist, so long as they accept the terms, fees, and conditions of the PFFS. The plan chooses how much it will pay for the services, and you can spend more or less on PFFS plans than on the traditional Medicare plans. Medicare Special Needs (MSA) plans are limited to people with certain diseases, disabilities, or other health needs and customized to fit the needs of that specific group, including people who have diabetes. Medical Special Needs plans continually include the Medicare Part D prescription medication insurance. In a Medical Savings Account (MSA) you do not pay a monthly premium because you have a high deductible. You must pay the Medicare Part B premium, and must also pay for Medicare covered services, and after you reach the deductible, the plan will pay for Medicare services. You will also have a savings account in which Medicare will deposit money for your health care costs. MSA plans do not include prescription drugs. Are there any risks and what if I'm not satisfied? No matter what plan you choose, you will be protected and covered by Medicare Part A and Part B. If you are not satisfied with your plan, you can enroll in the traditional Medicare program. If the plan opts to end its involvement with Medicare, you will need to choose another plan or enroll in traditional Medicare. The Medicare Health Insurance Program consists of four parts, Part A, B, C, and D. While Part A, B, and D are all grouped similarly as a part of the Original Medicare Plan, Part C is known separately as Medicare Advantage Plan. When you register to receive Medicare Part A, you will be covered for hospital insurance. While Part A covers most necessary medical hospital services, it does not cover all expenses. The medical expenses covered by Medicare Part A include inpatient care in hospitals (over-night hospital care and treatment for a minimum of three days, 72 hours), blood transfusions (units of blood received at the hospital), skilled nursing facility care (brief period care at a facility or at a nursing home after medical treatment in the hospital), hospice (at home support services for terminally ill patients), and home health care services (part time nursing care service and equipment for ill at home). The payment of a premium is not common for Medicare Part A, since most payments are taken from a paycheck for those who work. You are eligible for Part A if you meet any of the listed qualifications for Medicare. Most Medicare providers require that you also get Medicare Part B coverage when you apply for Part A. Medicare Part B is medical insurance. These are all the other expenses that your medical needs may require that are not covered in Part A. This can include necessary doctor services’ (doctor visits or medical advice), and outpatient care (medical service that does not require overnight stay in the hospital or may not even include a hospital visit). Medicare Part B is important for those with diabetes or at risk for diabetes because it covers many costs associated with diabetes. Also, Part B covers many necessary preventative shots (such as the flu shot or hepatitis B). However, unlike Part A, Medicare Part B requires a monthly premium around $96.40 a month. If you qualify for Part A, you will likely qualify for Part B.
Medicare Part D may also be added to your Medicare Plan coverage. Part D covers prescription drug costs, which is done through private companies approved by Medicare. This, too, requires a premium monthly payment. To receive coverage from these private companies, you must either join a Medicare prescription drug plan or choose the Medicare Advantage Plan, Part C (which already covers Part D). Medicare Part D will cover your necessary prescription drugs. Depending on the costs of your prescription drugs, you may have co-pay fees. 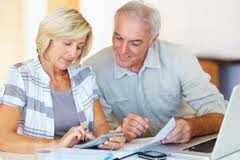 If you are eligible to receive Part A or Part B Medicare, then you are eligible to receive Part D.
Medicare Part C is the Medical Advantage Plan whose services are performed by private companies also approved by Medicare. Part C combines Part A and B as well as any other necessary medical services a person may require (drug prescription, hearing, and vision services). If you are eligible for Medicare you are eligible for a Part C plan. Many people will opt for this plan because it offers the ability to add a wide range of service coverage to their medical insurance plan, but Plan C is not offered in every state. However, most Medicare Advantage Plans consist of particular doctors and hospitals in an area that a person must use in order to receive coverage for the medical treatment they receive. In addition to the premium paid for Part B Medicare coverage, a person receiving Part C coverage will have to pay a monthly premium. There are several Medicare Advantage Plans available to you. These plans include Medicare Health Maintenance Organizations (HMO), Medicare Preferred Provider Organization plans (PPO), Medicare Private Fee-for-Service plans (PPFS), Medicare Special Needs, and Medicare Medical Savings Account (MSA). Today, there are over 40 million Americans who experience the benefits of Medicare health insurance coverage. Profosional Insurance Medicare is operated by Professional Insurance Systems of Florida, Inc., a licensed health insurance agency certified to sell Medicare products. Medicare has neither reviewed nor endorsed this information. By providing your contact inforamtion you are consenting to a Licensed Insurance Representative to contact you about Medicare Advantage Plans available in your area.